Come join the discussion! 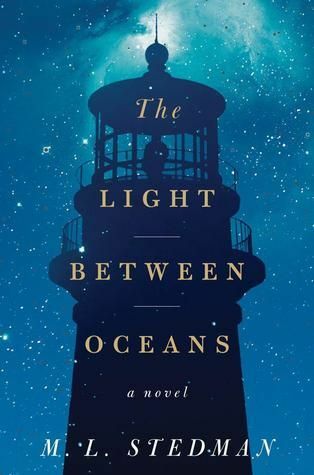 Our selected title for October is The Light Between Oceans, by M.L. Stedman. A captivating, beautiful, and stunningly accomplished debut novel that opens in 1918 Australia - the story of a lighthouse keeper and his wife who make one devastating choice that forever changes two worlds. Australia, 1926. After four harrowing years fighting on the Western Front, Tom Sherbourne returns home to take a job as the lighthouse keeper on Janus Rock, nearly half a day's journey from the coast. To this isolated island, where the supply boat comes once a season and shore leaves are granted every other year at best, Tom brings a young, bold, and loving wife, Isabel. Years later, after two miscarriages and one stillbirth, the grieving Isabel hears a baby's cries on the wind. A boat has washed up onshore carrying a dead man and a living baby. Tom, whose records as a lighthouse keeper are meticulous and whose moral principles have withstood a horrific war, wants to report the man and infant immediately. But Isabel has taken the tiny baby to her breast. Against Tom's judgment, they claim her as their own and name her Lucy. When she is two, Tom and Isabel return to the mainland and are reminded that there are other people in the world. Their choice has devastated one of them. M. L. Stedman's mesmerizing, beautifully written debut novel seduces us into accommodating Isabel's decision to keep this "gift from God." And we are swept into a story about extraordinarily compelling characters seeking to find their North Star in a world where there is no right answer, where justice for one person is another's tragic loss.